N.M. Associates is owned by a reputed family from the hill town of Coonoor, in the Nilgiri Hills of Tamil Nadu, and have been involved in the plantation and transportation business for over a hundred years. The family is well known, in this region, for its business integrity and philanthropy. During the mid 1980's, on scanning the horizons to diversify, an emerging opportunity in the still nascent and yet to be organized, construction industry was seen and thus NM Associates was born. The company was first involved in the contracting business and then ventured into the property development arena in the pre- liberalization and pre- IT days. Established as a partnership firm, in 1984, and taking a huge financial, as well as a career and professional risk, a massive 128 cottages project was envisaged and completed in a span of less than two years. 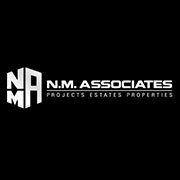 From then on NM Associates have engaged the most well known architects, engineers and contractors and have completed numerous projects for the niche market in Coonoor, Coimbatore and Chennai.